Every fire sprinkler system is at risk for corrosion and we understand the careful thought needed to make informed decisions to protect system integrity. ECS has revolutionized fire sprinkler system corrosion management with the development of industry-leading dry and wet pipe nitrogen inerting products. 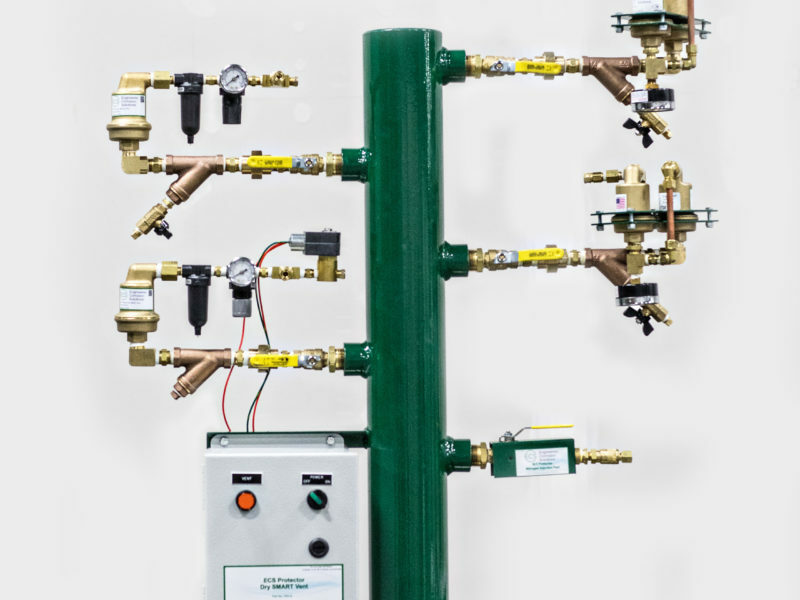 Adopting nitrogen to remove corrosive oxygen ensures business continuity and can save up to 75-90% of the replacement cost for a new sprinkler system. Implementing a nitrogen solution paired with corrosion monitoring ECS’ global customers trust us to protect mission-critical user information around the world. Our patented solutions address corrosion risk and exceed expectations for system performance and reliability. Reliable corrosion control for dry pipe and preaction sprinkler systems. Air venting and nitrogen corrosion control for wet pipe sprinkler systems. Address NFPA 13 corrosion monitoring requirements and ensure effective corrosion control.